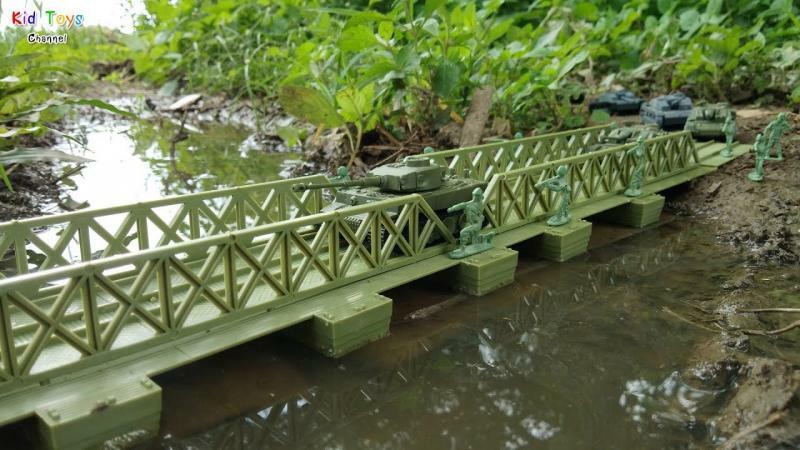 Freerails > Model Railroad Forums > Photography > CRAZY Bridge Of The Day ! CRAZY Bridge Of The Day ! What's even more interesting is that it's still there up in the mountains, though disused. I really like those 3 TIGHT loop pix. !! Anyone who says 6" curves & Porters are unrealistic . . .
+ a CRAZY bridge AS WELL ! Who could want MORE ! Hi there CRAZY ! bridge lovers !! Some time ago the Rly. was on the look out for a CRAZY bridge ! I know what I can make with toffee-apple sticks. 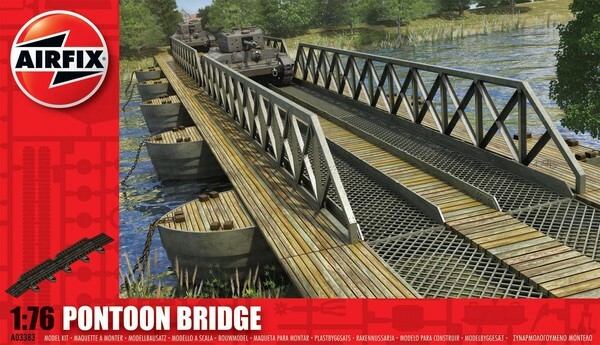 I have also had a BASH at using Plastruct(TM) & HACKSAWed 'Airfix' Pontoon Bridge kits ! ... I really wanted a 'proper' bridge as well ... if yer know wot I'm gettin' at Guv'nor ! 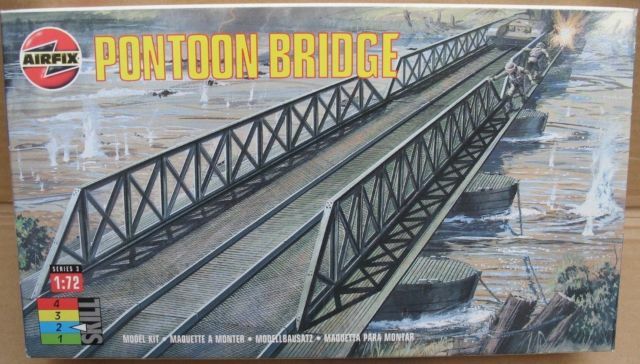 ... although I did fancy the ol' 'Hornby Dublo' OO-scale diecast girder bridge a teeny bit ! ... was deemed unrealistic by Salada at the time, who showed a spindly D.& R.G.W. one to prove it ! BAH !! I fumed, as I contemplated listing my shiny new EXPENSIVE German kit, back on to Bay. ... & slightly more mooodern. The main curved-truss span, looks JUST like my 'rivet-counters delight', German 'Kibri' ! The D.& R.G.W. honestly DIDN'T use a single ounce of steel, more than they had to on bridges !! 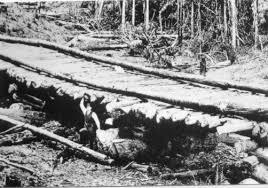 Nice looking bridge those Japanese loggers have got there ... Built to LAST as well ! 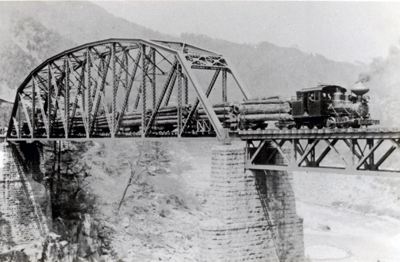 Not all bridges on that line were as substantial. 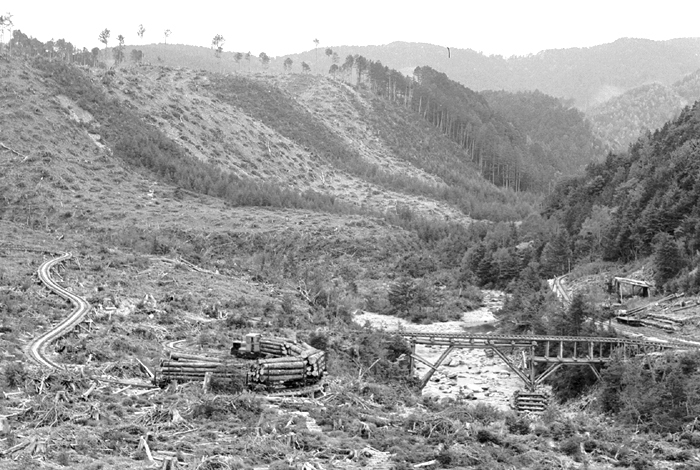 That's a real nice photo of how they dealt with a logging 'spur' I guess. The way the track follows the contours is cool. It looks largely shored-up by timber as well. I hadn't seen that Kiso pic. before. 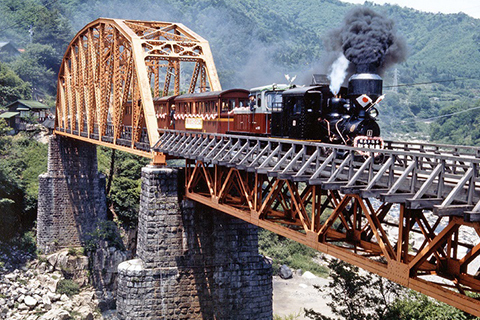 Here's ^^ what looks like a 'typical' Kiso Forest, low bridging job, close up from Google Images. 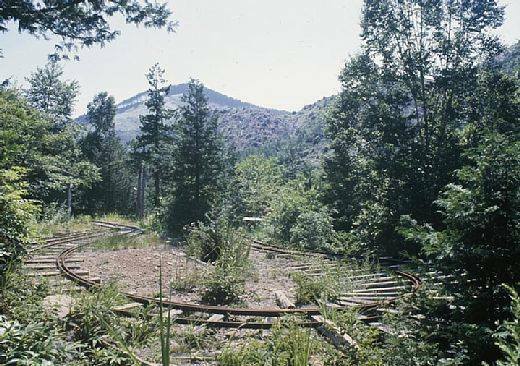 An unknown small logging bridge. ... or just to collect stray wagon wheels ? 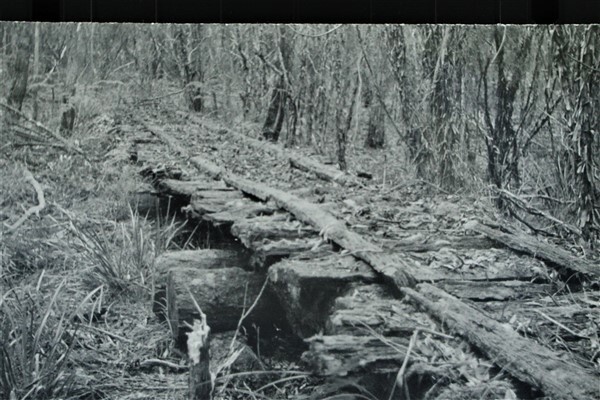 Here is a pic I took of a portion of a series of bridges on the Moondarra tramway near the Tyres River in 1970. 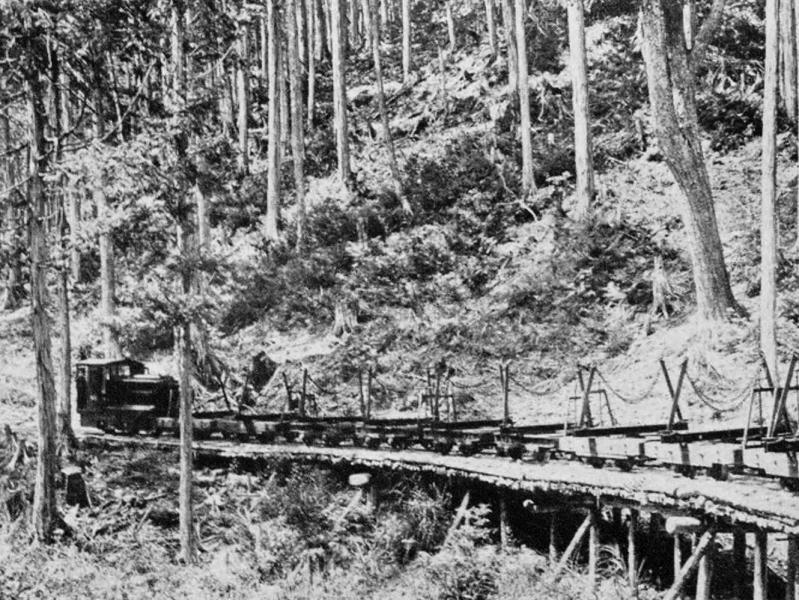 The tramway was near a sawmill and timber was transported to Moondarra narrow gauge railway station on the Moe - Walhalla railway. 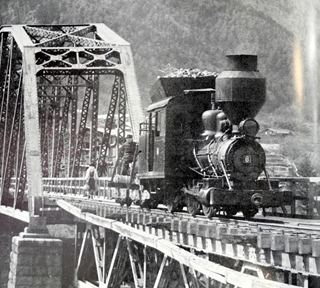 Between the bridge and the station was a long incline to reach the heights of the railway. ... I had one of these ! Not a bad ol' thing she was ! The girders got 're-cycled' in the end, for various cunning N-scale uses ! ... probably floated off downstream, when the N-scale Fat-Controller ordered it's BASHing ! Never had mine setup as C L as this one ^^ is though ! 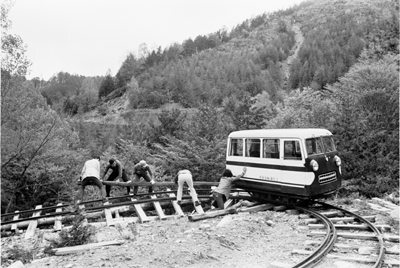 This snap really GRABBED my attention on Google Images, as I looked for 'Bailey Bridge' stuff. ... or scratch around on eBay looking for an ol' rusty one ! ... They sell QUICK though ... YESIR !! That original swingin' '60s box-art is very hard to beat though !